CHECK OUT WHATS GOING ON AT THE 2017 LOGAN SMALL BUSINESS EXP0......WOO HOO. 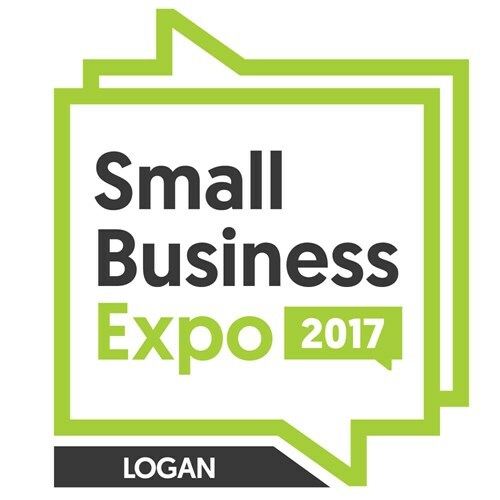 After taking the Gold Coast by storm, the 2017 Small Business Expo Logan is bringing local small business together on the 3rd November to showcase their products and services. The Expo is the brainchild of small business dynamo, Paula Brand, who recognised a lack of small business representation and support in the region – particularly for home-based, micro, mobile and online businesses without shopfronts. “It’s fine to have virtual shop fronts these days, but we need to showcase what we do face-to-face at least once a year,” she said. 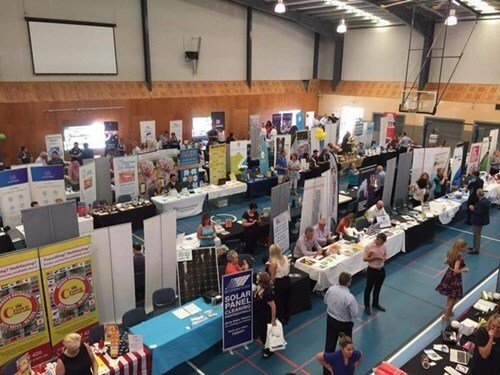 After five events, the Logan Small Business Expo is partnering with Bartercard, a business marketplace where members exchange products and services without the use of cash. Worldwide, businesses trade over $600 million each year under the Bartercard system to attract new customers, conserve cash and boost profits. Bartercard’s General Manager Michelle Adams said there are hundreds of small business members in Logan, the Gold Coast and Brisbane who are leaving cash out of business transactions. “Bartercard has built a presence in nine countries but at a local level it’s close-knit community of traders who support each other in business to succeed, and that’s what the Logan Small Business Expo is all about. 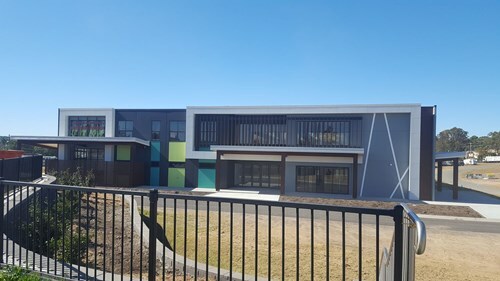 Paula said her last five Small Business Expos were successful because of the support of businesses like Bartercard and other local sponsors including Bendigo Bank, Logan City Council, Griffith University Logan Campus and Cornerstone Law Offices and REBEL FM and the Combined Logan Chambers of Commerce. “Our sponsors believe in the need for a strong, vibrant small business community which creates the fabric of our local economy. All of our sponsors are ingrained in the SME space at a local level to support the 20,000 small businesses in the region. 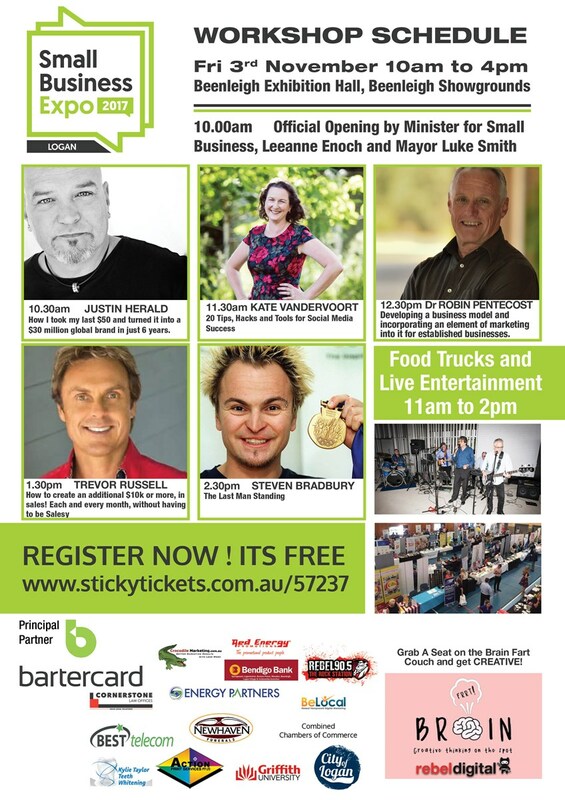 “The Logan Expo will feature 95 local small businesses, of course, food trucks, live music, and five speaker presentations from some of the Australia’s leading business experts including Justin Herald and Olympian Steven Bradbury. Paula said small businesses do better business when they band together and have a strong voice.